Our product range includes a wide range of filter net. Plastic Filter Net is basically used for aesthetic design and high quality media protection choose plastic diamond sleeves. 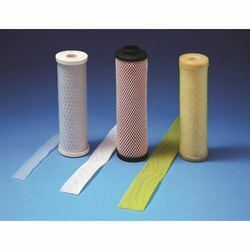 Filter mesh sleeves can be stretched over the outer surface of filter cartridges. The plasic mesh sleeves than fits snug against the outer surface to protect and contain media. We also make Reverse osmosis application spacer net as per custmor requirement in various sizes & thickness.